This photo was taken from the tour boat on Lake Chapala, Mexico. 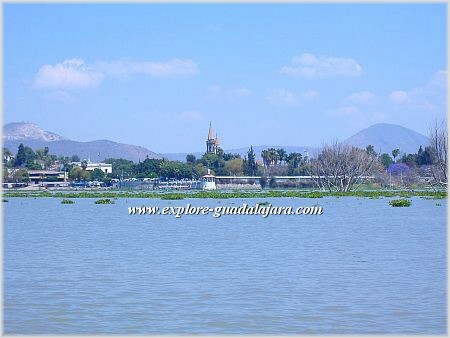 We were coming back from an expediton of one of our favorite Lake Chapala boat tours, of Scorpion Island, (one of the tours offered on Lake Chapala). 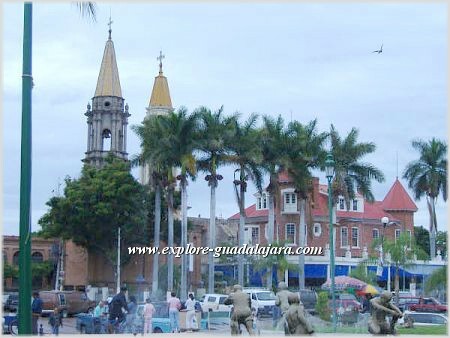 Chapala is one of the top retirement spots in Mexico and you'll soon find out why. 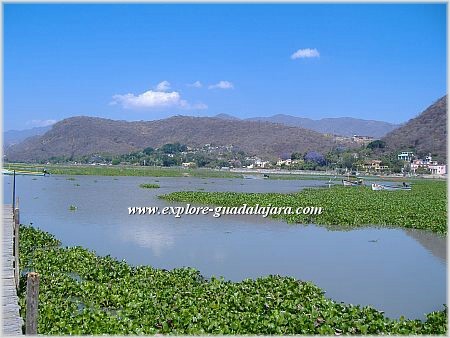 Looking for Lake Chapala Rentals? 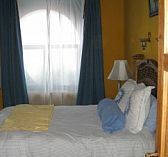 Search for your rental now and get ready for a relaxing and cozy Mexican experience by the Lake. The church you see is the San Francisco church which was dedicated to St. Francis of Assisi. 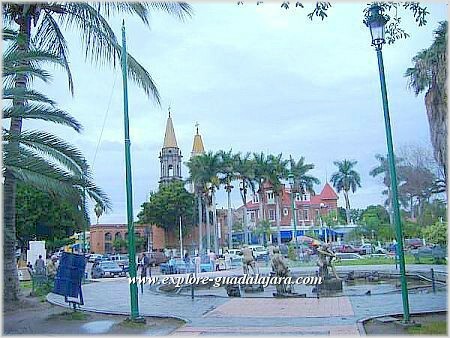 Here is a closer shot of Lake Chapala. These yellow towers of the San Francisco church remind me of the Guadalajara Cathedral towers, only smaller. It must be the bright yellow color. Here is a beautiful view from the pier on Lake Chapala. Look at those lovely mountains in the background. The purple spots you see are the Jacaranda trees. Check out all the Lirio (water hyacinth) in the water. It may look pretty but this stuff wreaks havoc on the poor fishermans' boats. It is constantly getting stuck in the propellers.